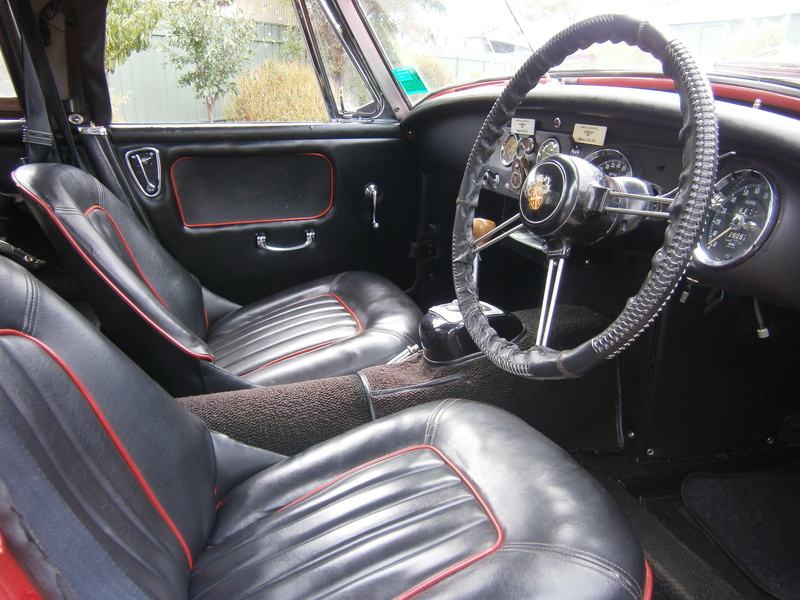 Road Trip!….not as bracing perhaps as the Clubman fraternity like to have it, but nonetheless a pleasant trip over with a few of the boys over to Phillip Island to look at old things going very bloody fast. Including three dozen of these nasty fellas – best place to see them? Main straight plunging into Turn One…you can spot who has left the brains in the toolbox from that vantage point. OK – Slightly less insane perhaps, but all of our BMC brotherhood represented themselves quite well that weekend, including one absolute ball tearer run from behind from Troy Ryan [NOT illustrated above], after an off track excursion early in the race. I think he may have been a little pleased with himself after that little effort. And then there was the exotica – the Wheatcrofts brought over Ascari’s season dominating Ferrari Tipo 500 over for a blast – and blast it did, mercifully some people have retained the good sense to exercise priceless machinery for the broader enjoyment of others. Although pretty to look at, they look much better at full song, and driven with some intent. The run was conducted yesterday March 18th in superb weather for Sprites. Everything ran smoothly, even the cars. So I would like to thank these people for turning up and making the day enjoyable for all. Peter Dineen and Ros, Garry and Molly Beaton, Ken and Mary Dutch, Hilton and Kim Jamieson, and Barb Ridge. David & Di Low (organisers). A Fish and Chip lunch run to Encounter Bay. Get your Sprite out it is the Club’s 40th Year. Meet at the Top of Tapleys Hill on Main South Road, just past Black Road. Enjoy a nice indirect drive down South to Encounter Bay. Park along the bay. Plenty of seating inside the Fish cafe. Weather should be really good so get the Sprite Out. 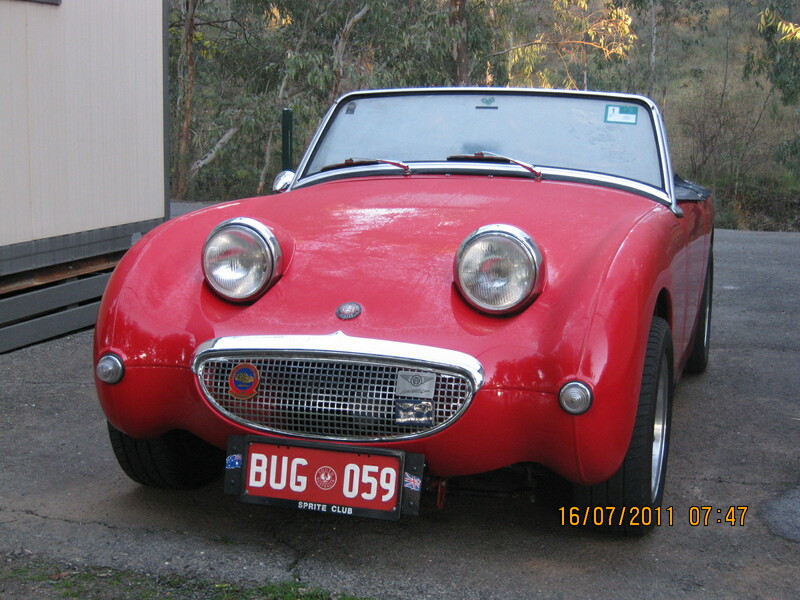 An Austin Healey Sprite mark 3. 1966. New pistons and rings, main bearings and big ends, oil pump and timing chain. New ring gear, clutch plate, pressure plate, and water pump. Radiator has been professionally cleaned. 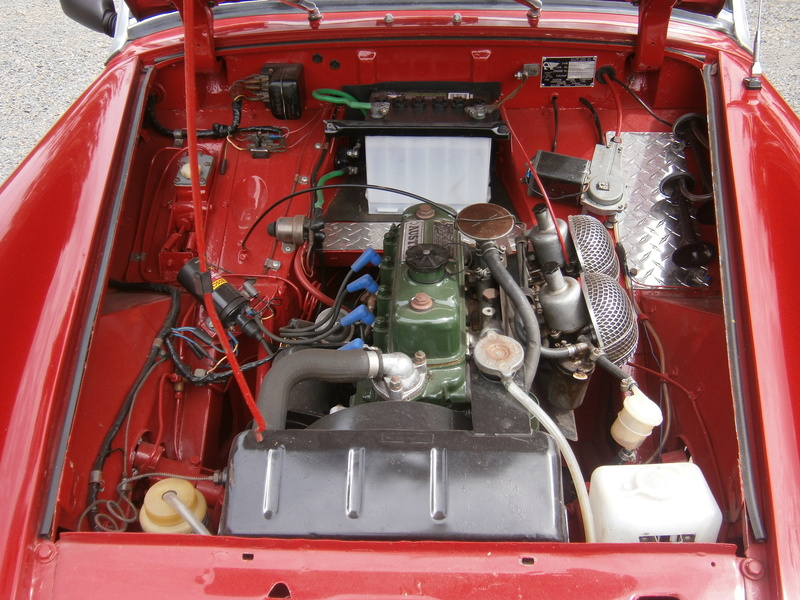 A re-built master cylinder fitted, New slave kit and a re-built starter motor and generator. Rego Number : RMK 543. Engine No: 10CCDAH15357. 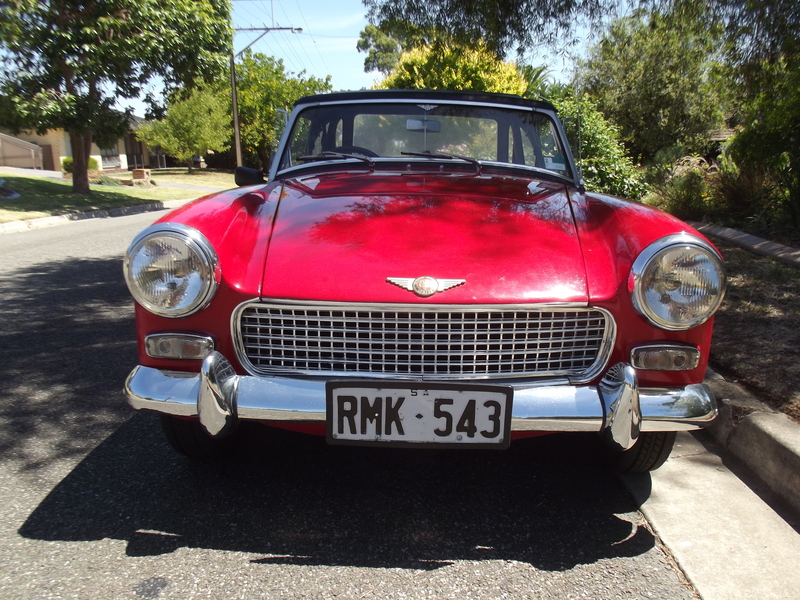 This car is currently on Club Historic Rego. Good tyres, Body, Paint and trim. Has a roll bar Tonneau cover. It comes with books and some spares. Please re-consider this event it will be all lot of fun. Lets face Sprite members in our Club do enjoy a good time, that is a fact. I really want to call on all our members who have not indicated or who are contemplating involvement , to attend this event, as I know you will enjoy it and take away some great memories from it. This event caters for those who wish race track time, those who wish to drive socially ( that is us) and those who don’t even own a Sprite. The mere fact you are a Sprite devotee you will enjoy meeting other Sprite devotees from WA,VIC,QLD, and NSW. See their cars, share their passion, and make new friends. This is what all single make car clubs aspire to. What better place to do it that at Wangaratta, nearby is the Winton Raceway and Wangaratta is the gateway to so many wonderul touring Sprite roads,places of historic and scenic interest, many local producers of wine, cheese,olives and chocolate. Good accommodation has been secured at extremely good rates and the tariff for this event reflects this, plus evening meals, lunches,a farewell breakfast and of course entertainment. I wish the USA was a little closer…. This beaut SCCA spec racing Bugeye was listed a few months ago for sale on bringatrailer.com It sold for $10K U.S. Anyone want to go halves with me? The day starts with an early morning gathering at Serafino’s [McLaren’s on the Lake], and then a parade down the main street of McLaren Vale at 11 am. Thousands of people line the street to get a close view of the incredible range of vehicles driving past; cars, vans, and motorbikes with a flyover by vintage Biplanes. Drivers then head out to participating wineries to display their vehicles for the afternoon, picnicking etc. 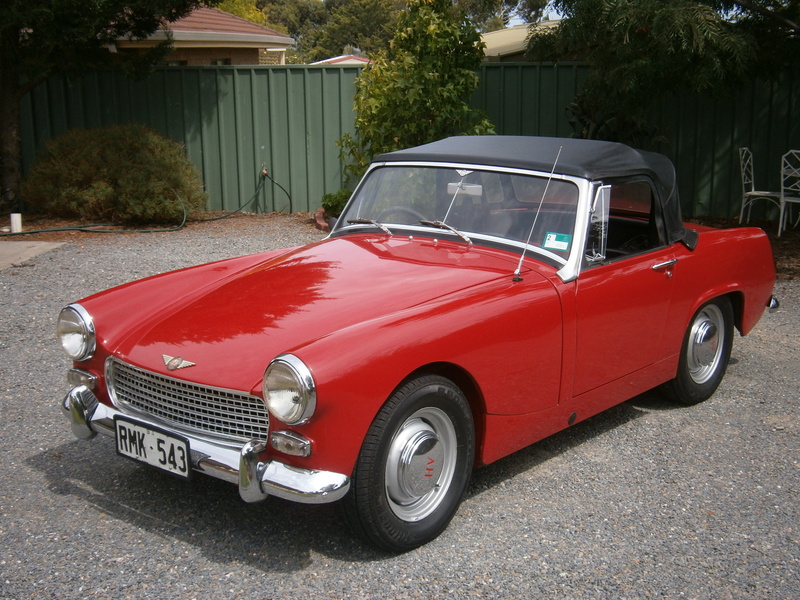 The Sprite Club of SA usually gets a dozen or so cars involved – join us again this year. It’s a pretty good gathering of old cars and a good little get together for the Club.